Running a factory well can be a pretty taxing job for anyone. There are always so many security components to take into consideration. If you’re interested in enhancing the security of your factory or manufacturing plant, you need to look into surveillance camera installation. Security cameras can monitor all types of activities at your factory. They can help strengthen operations substantially as well. If you want to stop or minimize the chances of theft, then you should install a monitored security camera as soon as possible. Surveillance systems can be highly effective at fending off thefts of all varieties. They can help if your facility does experience a robbery as well. They can assist people who want to be able to pinpoint the problematic criminals and take appropriate action. Strong quality is essential for smooth sailing at factories. If the idea of better quality control piques your interest, then it may be time for you to investigate all of your choices in advanced monitored security cameras. Technological advancements in surveillance systems are now simplifying quality control matters in a big way. If you want to be able to revel in optimal quality control methods, the assistance of video surveillance and video analytics from Pro-Vigil can be priceless. Security cameras can promote stronger efficiency and because of that can help factories greatly reduce their costs. They can also help promote quality control techniques that are markedly swifter. If you’re tired of quality control that’s sluggish and far from organized, the help of a monitored security camera can change everything for you and your factory. Remote supervision is among the most exciting benefits associated with monitored security camera installation. If you crave the sheer convenience of being able to monitor your factory’s activities from afar, then you need a security camera in your life without delay. These systems give users the power to evaluate footage on the Internet regardless of their specific locations at the time. 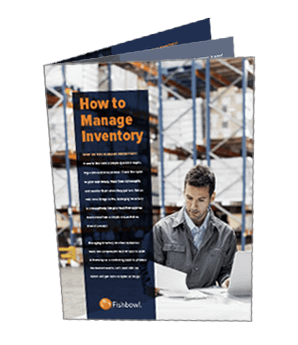 This can be particularly helpful to individuals who run massive factories. It can come in handy for factories that have numerous locations, too. A security camera may give your existing security professionals the chance to handle different tasks on the job. If you have a security team working for your factory, the installation of a monitored camera may empower them to tackle various extra guard-related responsibilities. That’s because it may stop them from having to concentrate on video footage 100 percent of the time. Do you want to make your factory a significantly safer place to work for all of your employees? That’s most likely your primary aim. You can put security cameras near the locations of machinery that can be dangerous and risky. Doing so can track automated systems in considerable detail. It can, in some cases, protect your team members from potential bodily harm and injury. 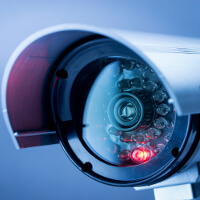 If you want to do everything you can to defend your factory employees from serious trauma and issues in general, monitored security camera installation can make a fine and practical idea. Do you want to better your factory’s operations and efficiency processes? Research all of the latest and most modern monitored security cameras right now. A security camera can help you stay updated on factory activities at all times. It can make you feel more at ease any time you’re not on hand to see things with your own eyes.